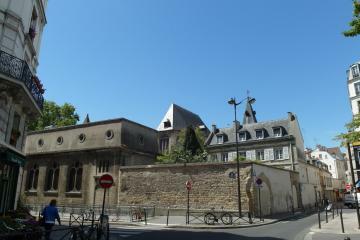 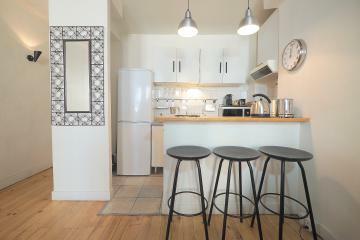 An amazing location in the heart of the historic Paris, 5th arrondissement, next to the river Seine, the wondeerful Latin Quarter, Notre Dame de Paris and Saint Germain des Prés.Here is a great place where to enjoy Paris, offering everything nneeded for your stay: typical food shops, supermarkets, an open air market 3 times a week, major brands in Saint Germain des Prés, outdoor activities on the banks of the river. 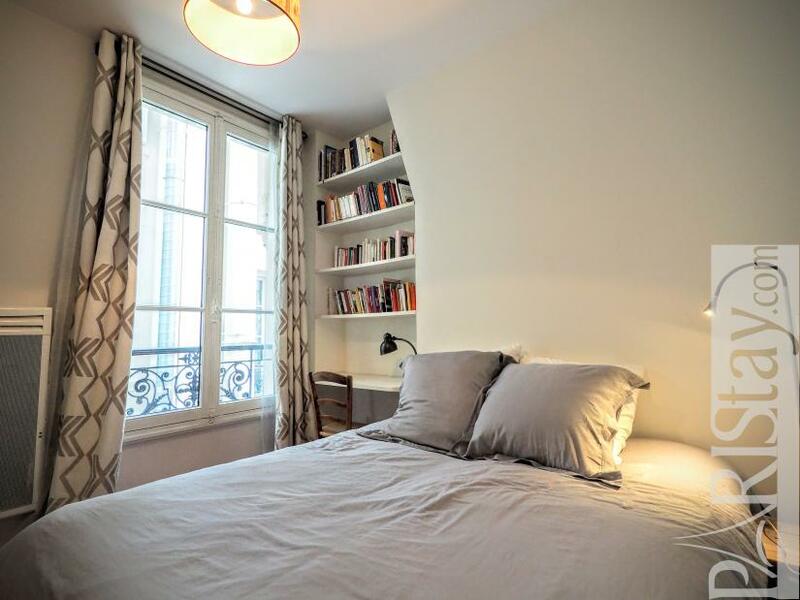 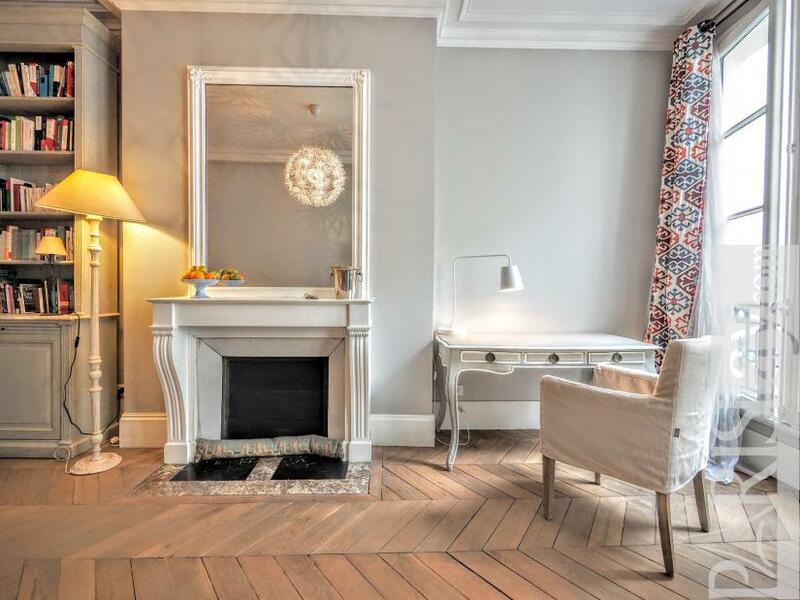 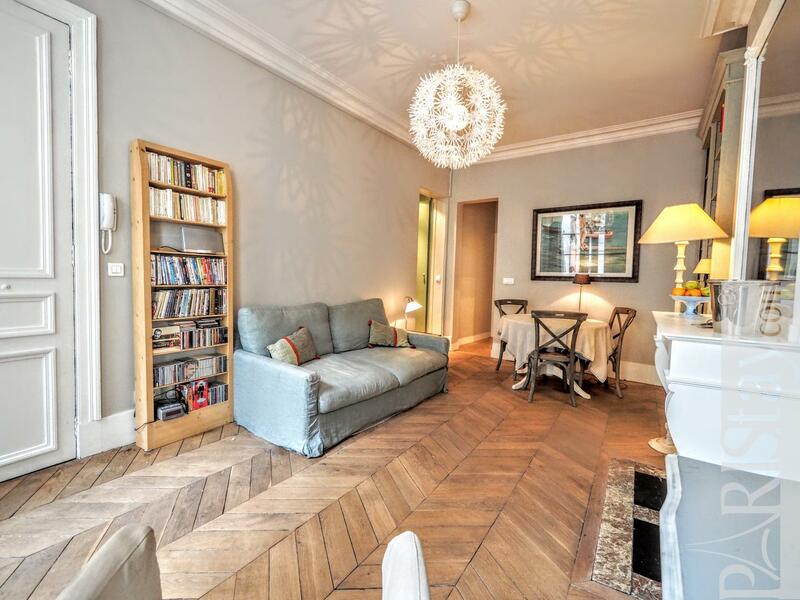 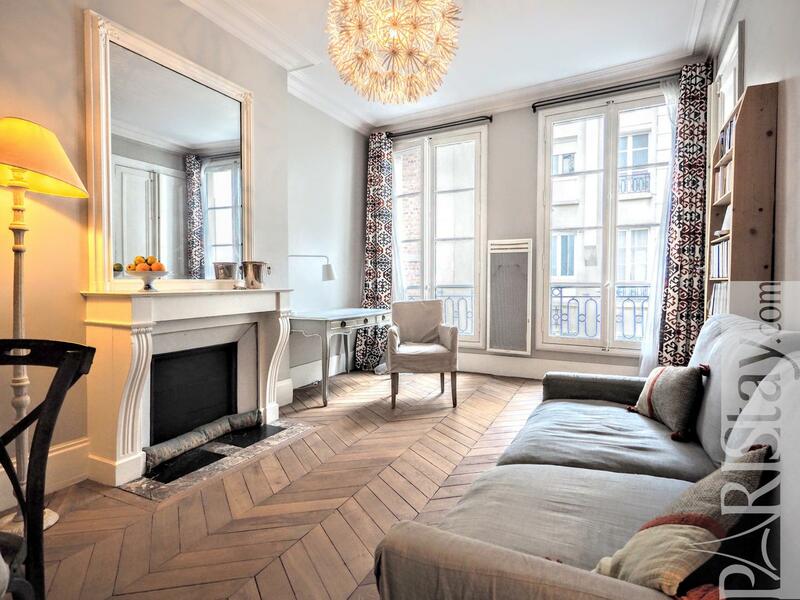 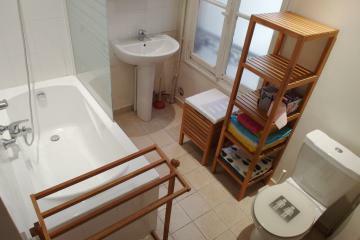 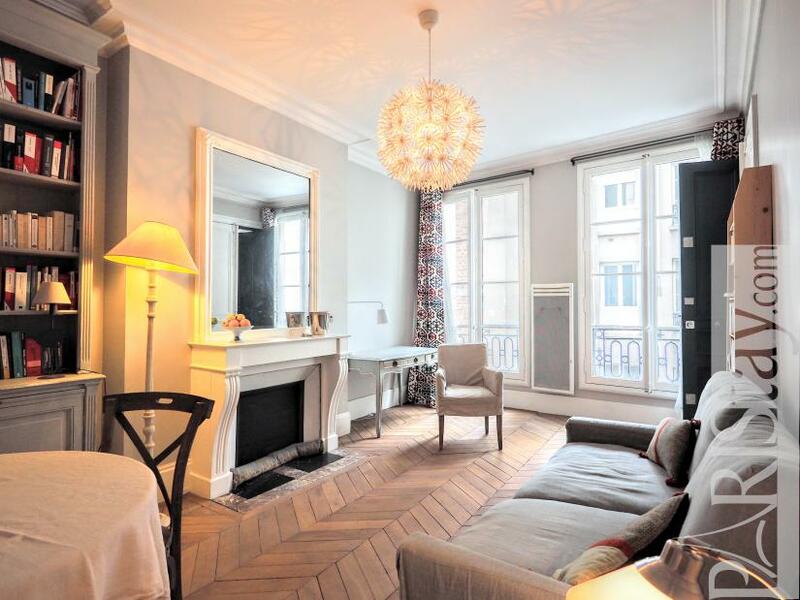 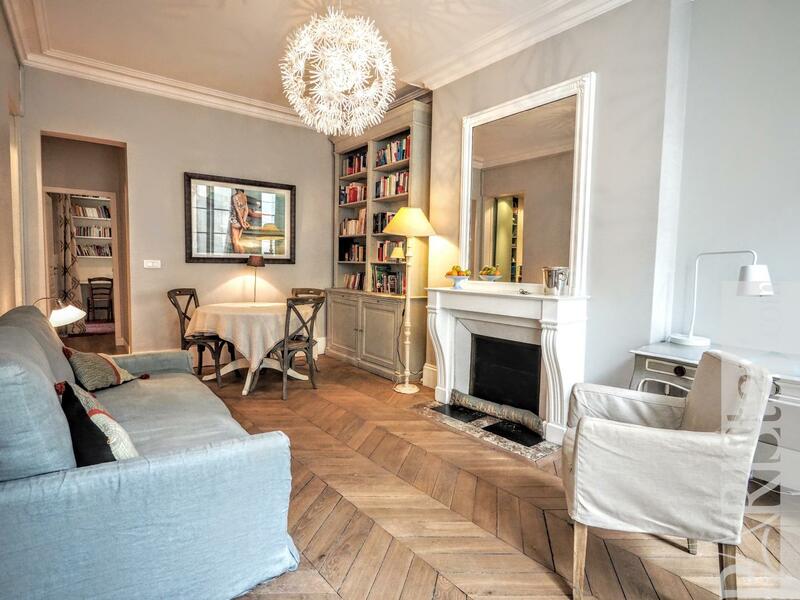 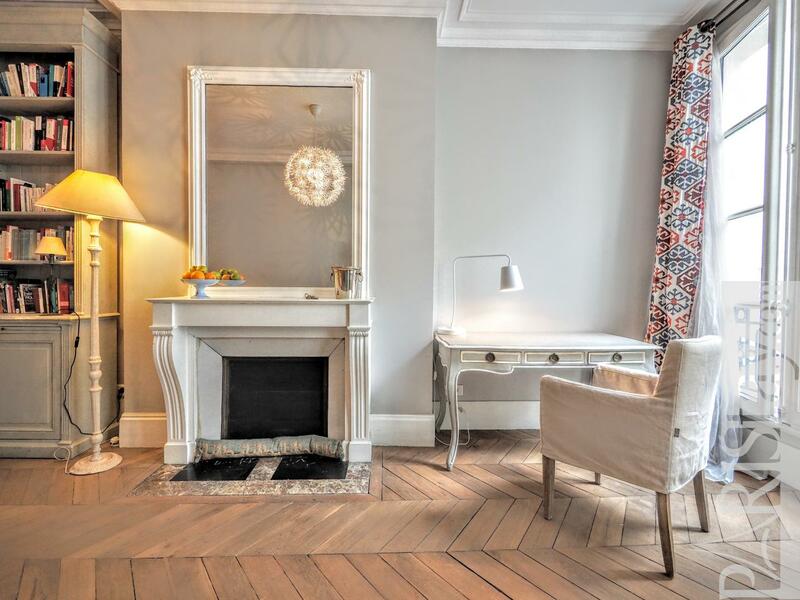 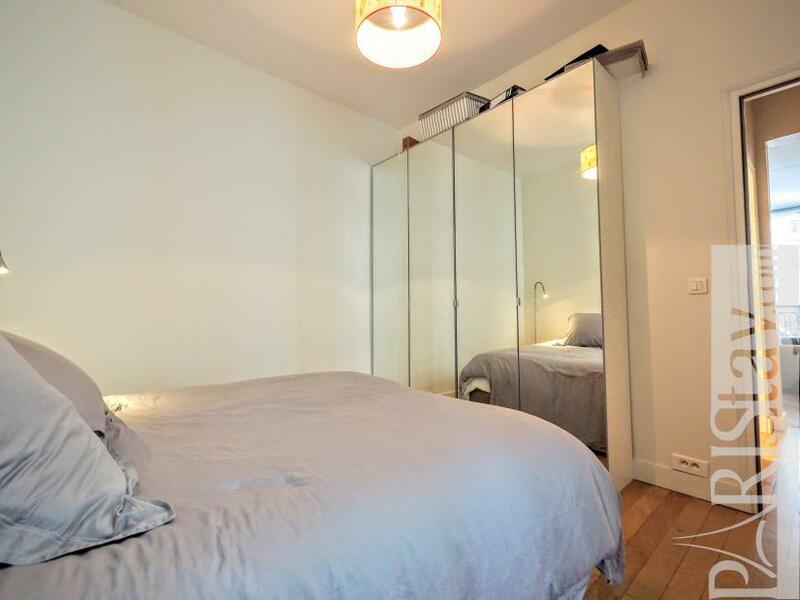 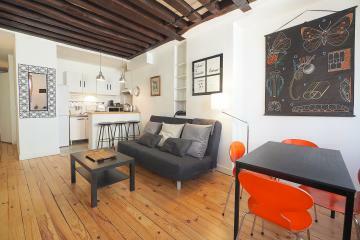 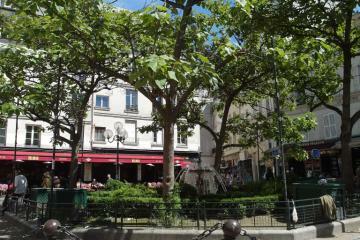 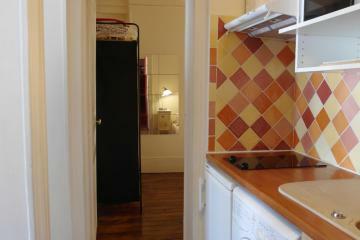 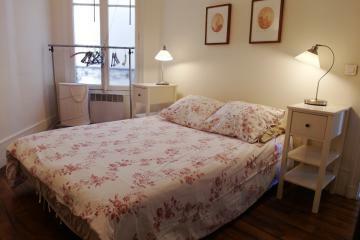 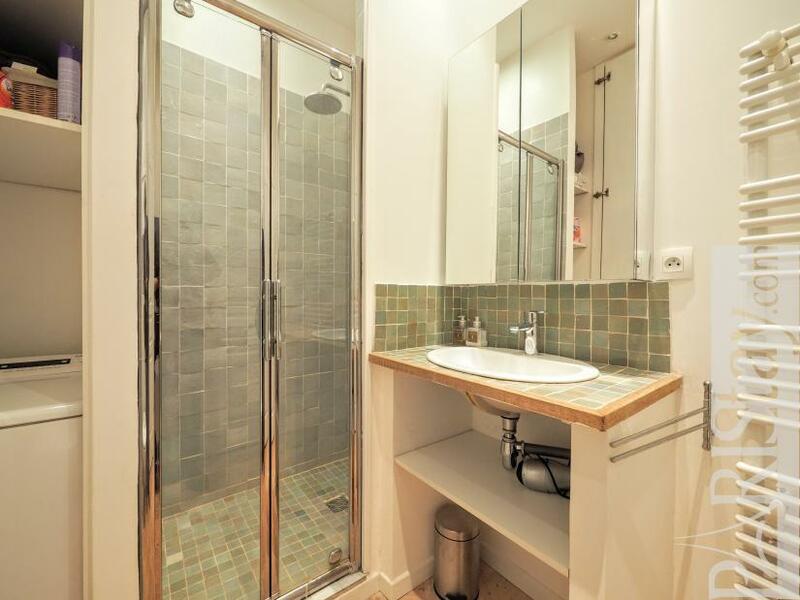 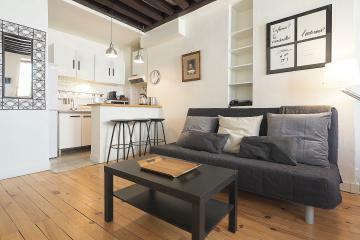 This Paris one bedroom apartment for rent is situated on the 3rd floor with lift of a residential building. 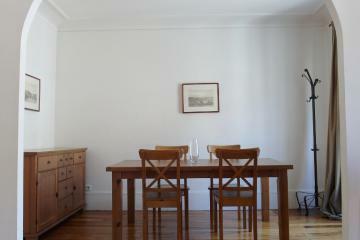 It is spacious, bright, beautiful hardwood floor and decorative fireworks.. 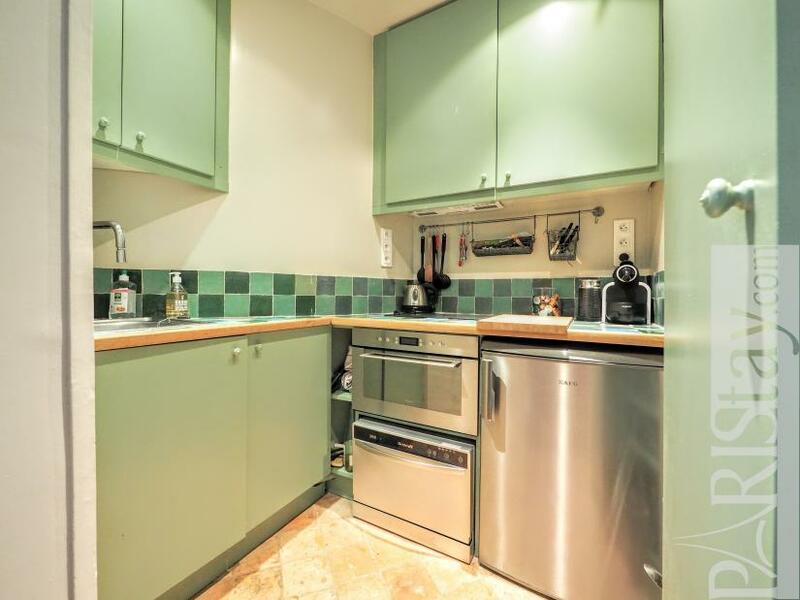 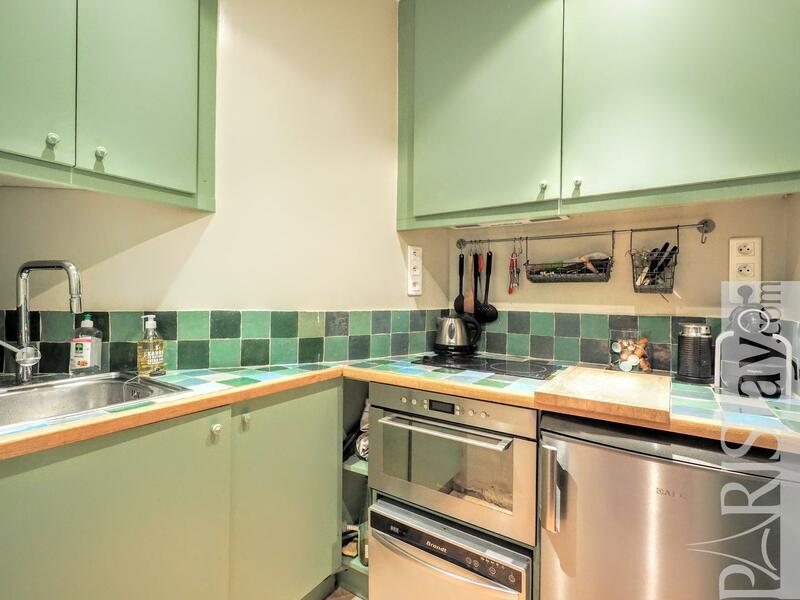 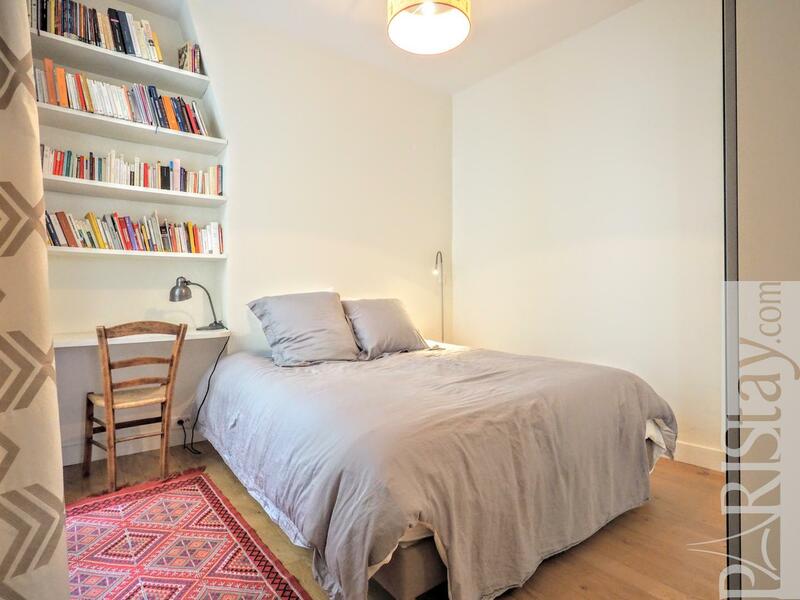 This flat has been furnished in a family house spirit and offers a contemporary decoration. 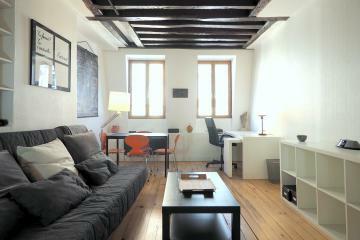 Spacious living room with a comfortable sofa bed, a table that seats 4 people, a desk. 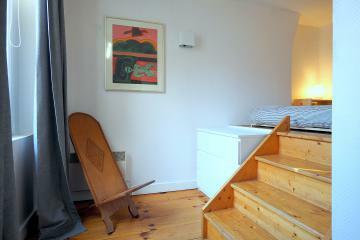 Quiet bedroom on the courtyard offering a double bed, a large cupboard and a desk? 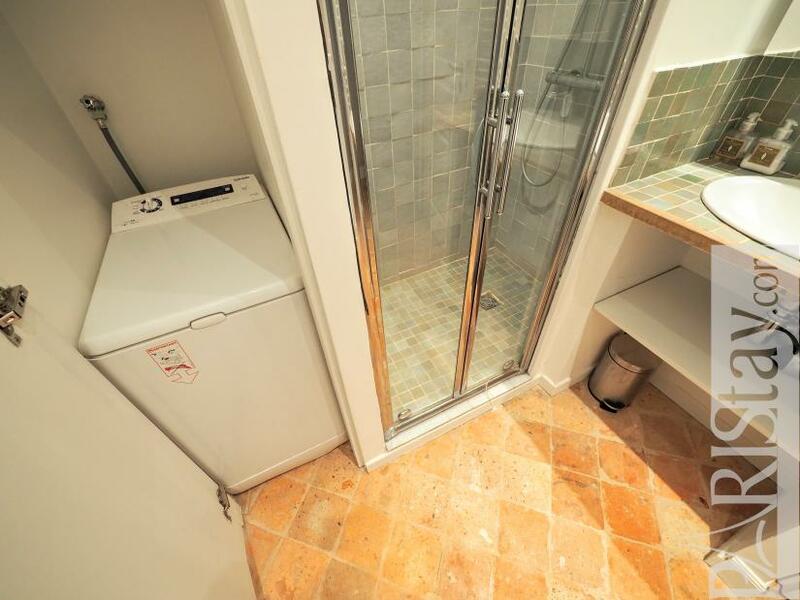 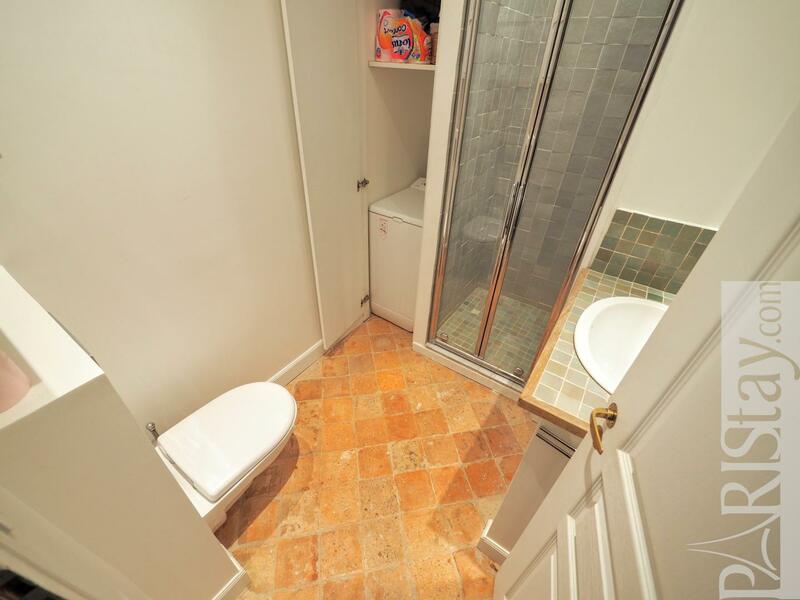 Shower room with WC and a washing machine. 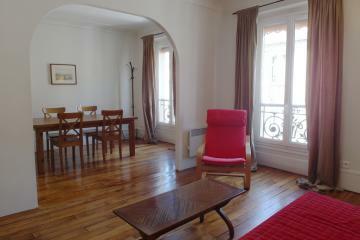 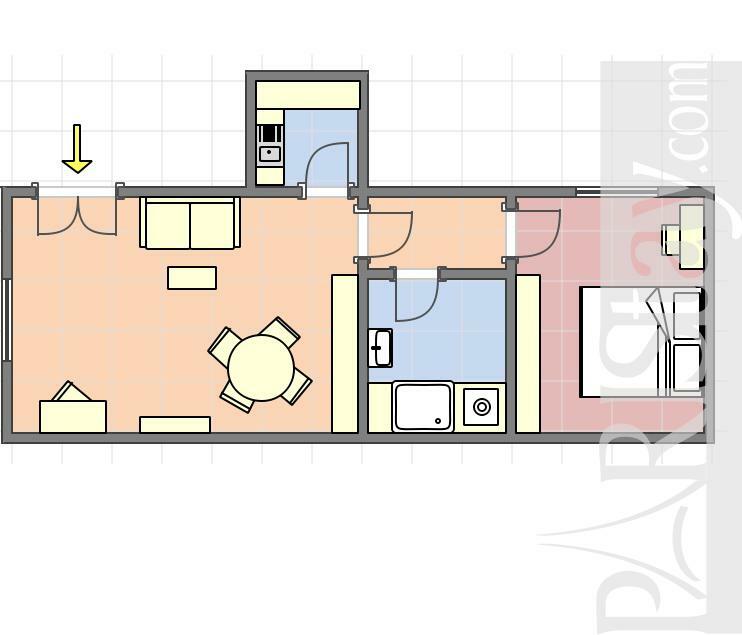 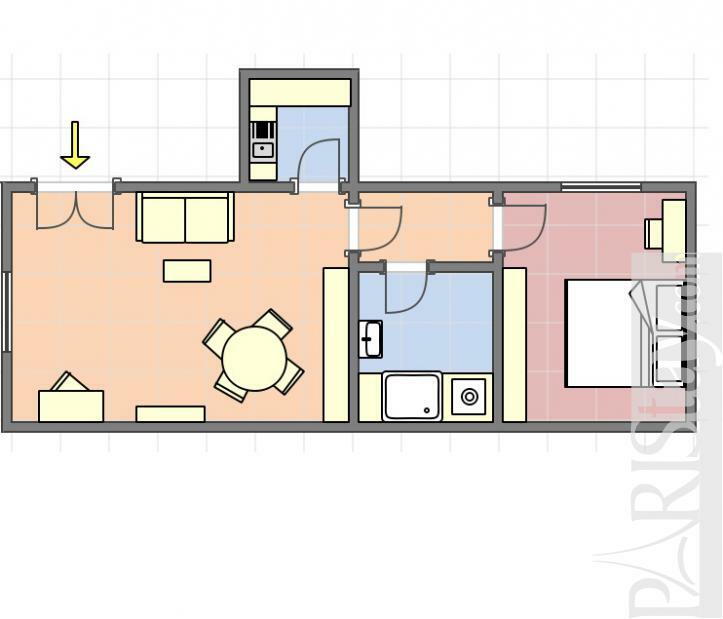 3 th floor, with Lift, entry code security system, 1 bedroom Appartement, furnished, Approx: 35m² / 376 Sq.Ft.